Web design jobs can be a rewarding and financially lucrative industry to work in. The question that arises is what platform do you use to design websites? The more popular but highly competitive platforms like WordPress and Joomla have drawbacks because of the number of web designers promoting services using these website CMS systems. In addition to that turn around time and managing client expectations given the wide variety of possibilities can be problematic for designers who want to allocate their time and resources more efficiently. To get an idea about the high level of competition for web design jobs, just go to any job website and you'll be over whelmed in seconds. So what can a web designer who wants to promote their services and assist a SMB market that's growing supposed to do? Faced with high competition, low barriers to entry, high customer expectations,designs and redesigns etc etc the list goes on. One solution that can solve alot of these issues for web designers and the web design job industry is partnering with Exai to build, maintain and service SMB websites using the Exai web building platform. Web designers will find the CMS easy and responsive to use. Websites built on Exai are robust and cater to creative design and content alike. What is most beneficial to web designers and SEO agencies using Exai is the back end management system that Exai provides, making it easy and convenient to manage as many websites as you want. BILLING system allow for taking international payments and any cross boarder transaction is seamless and fast. Other benefits for web designers is the ability to set permissions for clients. So you can allow your clients to add content on certain pages without messing around with the design of the website. This adds value to client relationships and helps the site to be kept up-to-date at all times with fresh content. Once you've designed a specific website, you can also replicate the site design from CRM so there no need to keep duplicating your work. Designers can now roll out specific designs for any number of clients making website deployment highly efficient. 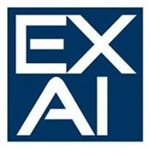 In addition to this Exai partners can actually grow their customer base in three directions. Exai provides partners with an affiliate program for every SERVICE PROVIDER that a partner adds to their network. This is an additional stream of revenue. The partner can control what every service provider under them does and how much to charge and even grow their network. Exai can outsource work for web design jobs to their partner base.While Exai provides all these value added solutions at no additional costs to their partners, partners need to have a proven track record, with at least 3 live websites active on Exai and a successful pilot program "under their wing". To check out our various partner program visit HERE. We look forward to welcoming you on-board.